New series of mini reviews based on the tried ‘n’ true stuff that we swear by. These are our staple items. We all have certain items of kit we won’t leave the house without when going for a ride (we did a blog about this a while back). Like you, how we come to have these particular things is a process of trial and error, recommendations and sometimes luck. All of these items are tried and tested and have earned their place as my favourites. Some are fancy. Some are plain. But there’s always a reason we have them. 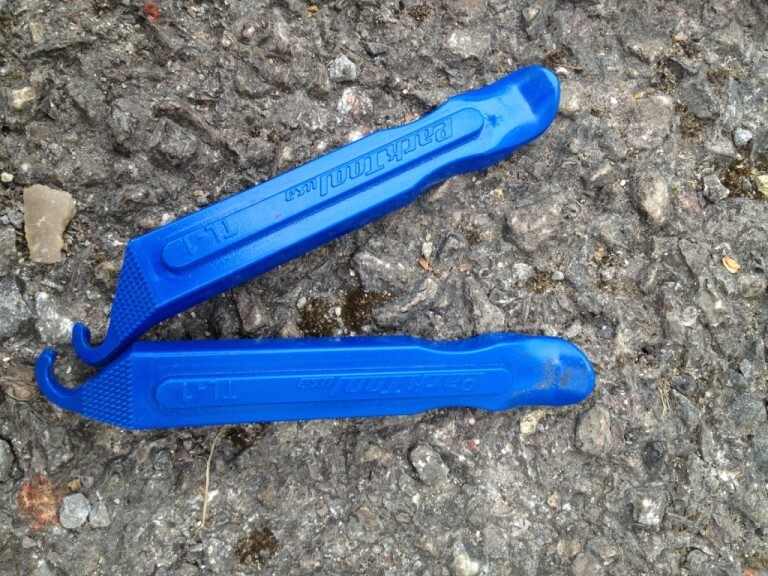 I’m starting this series with one of the simplest pieces of kit I have – Park tyre levers. Sad I know but I love them. They’re sturdy, easy to use and have never let me down. I have many of them in different saddle packs and tool kits and won’t use anything else. Why riders won’t carry even a basic Allen key set is beyond me. I’ve always carried multi tools as the tiny weight penalty far outweighs a ride ruined by not having simple tools. I used to only carry Allen keys but needed a screwdriver one day so from then on I’ve carried a multi tool. I never saw the need for one with a chain tool until the inevitable happened. I was in Mallorca and nipped out for a spin a few hours before my flight home. 10kms out, my chain broke in the middle of nowhere. With no phone signal and no one else around. After lots of pushing I got back to the hotel with 20 mins to pack the bike and shower. 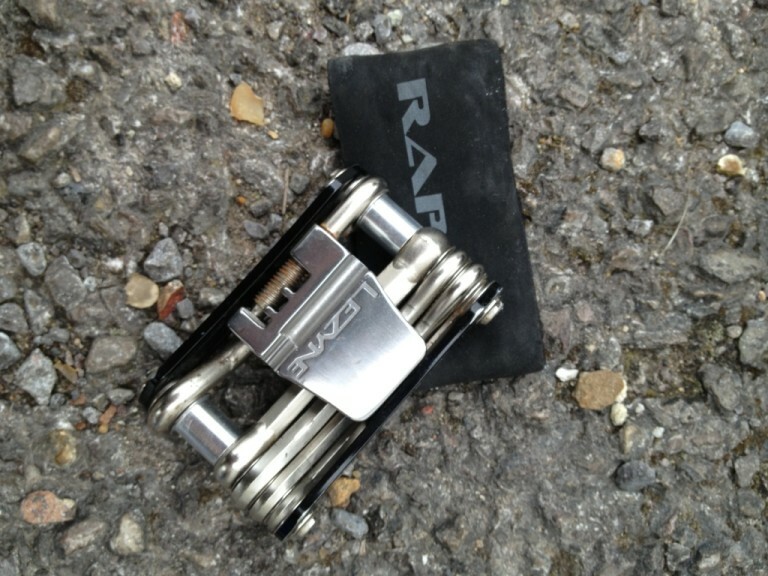 Since then I have always carried a multi-tool with a chain tool and thankfully/annoyingly I have never needed it! 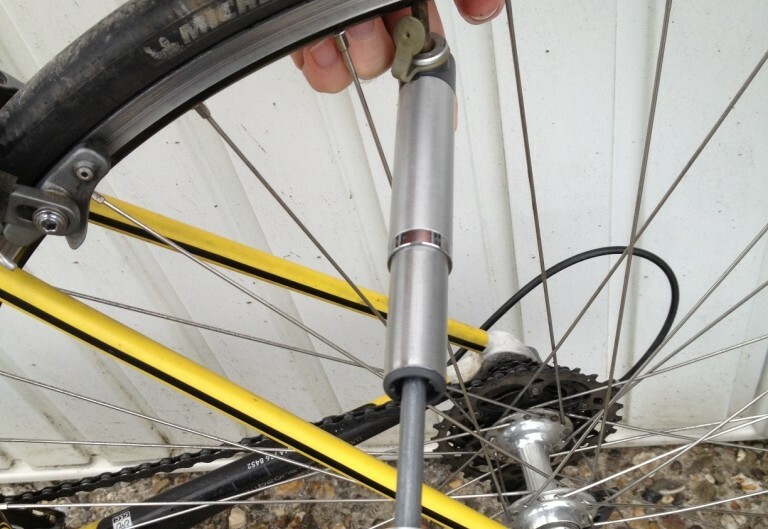 I like Lezyne products and this one is small, well made, has all the essentials plus a few more. I also like the small neoprene protector case which keeps the tools together and stops them scraping anything in your pocket. Tip: I tried the chain tool at home first to see if it was okay (it was) so if you do buy a multi-tool with a chain tool make sure you use it at home first to see if it does the job. I’ve had this pump for about five years and it’s never let me down. It may be basic but it’s another product I never leave home without. It gets to the high pressures easier than some I’ve seen. The attachment is simple (pushes straight on to the valve). The seals are good. It’s easy to use. It’s very small and thin so fits into any jersey pocket without taking up much room or sticking out that much. It weighs hardly anything so you don’t know you’re carrying it. More important sartorially, it doesn’t cause your jersey to sag. If this is too small for you then the Topeak Pocket Rocket is the next model up with a flick lock valve attachment and rubber handle with very little weight penalty. Tagged beginner, lezyne, park tool, topeak. Bookmark the permalink.